Call Us for Metal Fabrication Services! 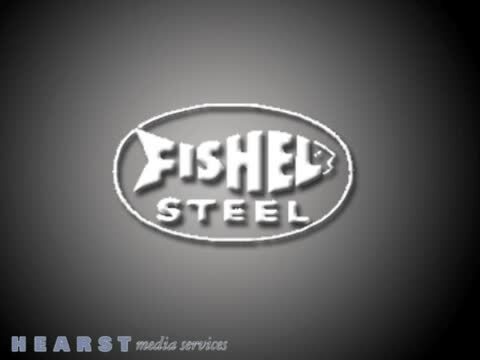 The Fishel Steel Company is locally owned and operated. 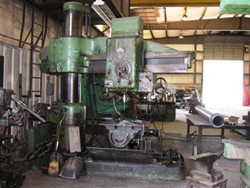 We have been fabricating steel and dedicated to serving the community since 1930. We are a job shop industrial fabricator, metal fabricator and welder. 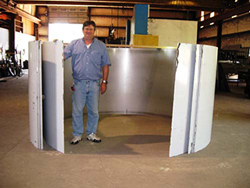 We offer custom designs for aluminum fabrication for Winston-Salem, NC and the surrounding areas. As the leader in stainless steel fabrication, Fishel Steel Company goes above and beyond to deliver exceptional service to all customers. We have been proudly serving the Lexington, NC area for years and look forward to working with you. Fishel Steel also has steel warehousing available. With a 17,000 square foot space and a fenced storage area, we’re able to manufacture parts faster, so your order is done more quickly. We also offer fabricating and welding of aluminum, stainless steel and steel products. Because we don’t have layers of management, we’re able to offer you prompt, quality service in a timely fashion. We have the ability to work with our customers to manufacture specific fabrications to solve your problems and craft the necessary items you desire for your project or company. 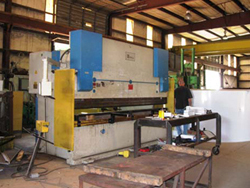 As a full-service fabricator, we have the equipment and the machinery needed for any and all of our projects. From overhead cranes to MIG guns and American radial drills, we’re completely stocked with everything we need to get the job done! Our specialty is in all types of metal fabrication work. Pipes, sheets, parts and more are all delicately crafted by our experienced technicians. Metal & stainless steel fabrication is not an easy job. At Fishel Steel Company, we work hard to create items that are exactly matched to our customer's specifications. From machine parts to equipment and more, we do it all. If you're in need of custom fabrication, give Fishel Steel Company a call today. We handle many types of metal fabrication services. No matter what you or your business's unique needs are, we can handle the task. Contact us today for more information. Even though it is rare to find in its pure form, aluminum is the third most abundant material on earth. Aluminum alloys can have the strength of normal steel and are lighter alternatives. They are also rust resistant and are malleable to shape into almost any size. At Fishel Steel Company, we are specialized in aluminum fabrication. We can mold this material to fit any custom work required to ensure your project is a success. We offer a wide range of metal fabrication services at competitive prices. We are equipped with the best technology, equipment, and highly skilled technicians to assist industrial and commercial clients with their aluminum and stainless steel fabrication needs. We serve clients in Lexington, NC and the surrounding areas. If your equipment is damaged or you need custom machinery parts created, we have you covered. Get in touch with us today for metal fabrication and other services. We know that even a small part can hold up your project or production line, so we make every effort to meet your deadlines. We communicate openly and frequently with our clients, and they know they can rely on us as if we’re part of their company. When you need aluminum steel fabrication done professionally, Fishel Steel Co. will get the job done! Our facility is conveniently located on Palmer Lane in Winston-Salem, NC. Call us today for your aluminum steel fabrication needs. Proudly serving Lexington, NC and the surrounding areas. Fishel Steel Company is a job shop steel fabricator for commercial, industrial and residential customers. We offer: metal fabrication, aluminum fabrication, welding, steel, stainless steel, aluminum, sheet and plate rolls, round angle roll, hydraulic press and steel distributing and warehousing.